Our team is committed to offering a personal service, listening to your concerns and needs, before formulating an individual and tailored treatment plan that you are completely happy with. 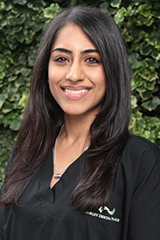 Shiv graduated from King’s College London Dental Institute and has been working in general dental practice since. Shiv is a very friendly and enthusiastic practitioner and is regularly complimented by patients for his gentle approach and light touch. 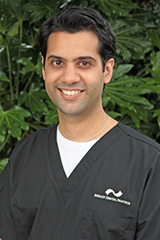 He is dedicated to providing ethical and evidence based dentistry using the most up to date materials and techniques and received a postgraduate Certificate in Restorative Dental Practice from the prestigious Eastman Dental Institute in 2012 after a year long course. Since 2012, he has been a Member of the Joint Dental Faculties (MJDF), enabling him to continue his professional development. Shiv also has a keen interest in root canal treatments (Endodontics) and completed a 2-year Diploma in Endodontic Practice at the Eastman Dental Institute in 2016. This enhanced his knowledge, ability and skills to treat root canal treatments of a more complex nature. When he is not at work, Shiv is a keen sportsman, particularly enjoying cricket and football. He is also an avid traveller, immersing himself into different cultures around the world. Minal graduated from King’s College London Dental Institute achieving her BDS degree with Honours. 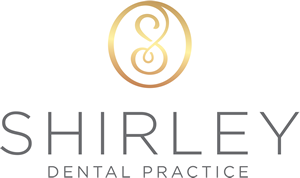 She has since undertaken a postgraduate Certificate in Restorative Dental Practice from the well renowned Eastman Dental Institute over the course of a year. This enabled her to increase her skills for treating more complex restorative cases. She is also a Member of the Joint Dental Faculties of the Royal College of Surgeons of England. 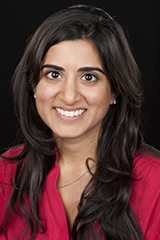 Minal has a keen interest in general dentistry, with an emphasis on prevention and minimally invasive techniques. She is a friendly, caring and enthusiastic dentist whose calming nature makes her popular with nervous patients and children. Minal also enjoys cosmetic dentistry with a conservative approach, being committed to providing high quality care for her patients so they can be confident and happy with their smiles. 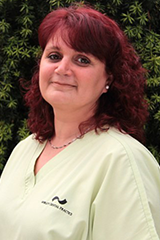 She is a certified practitioner of the Inman Aligner system to help straighten front teeth safely and efficiently. She is also trained in facial aesthetic treatments to help reduce wrinkles and deep lines especially in the middle and upper face, helping to improve confidence in your appearance. Outside of dentistry, she loves to travel around the world exploring new cultures and histories, meeting with her friends and reading a good book! 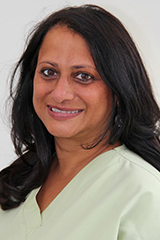 Mita qualified in 1985 at the Royal Dental Hospital, London and has been in general practice ever since, working in various clinical settings. She was the principal dentist at Shirley Dental Practice for over 15 years before handing over the reigns to Shiv and Minal. She is also a certified user for the Inman Aligner, a removable appliance for aligning crowded teeth, worn over a relatively short term compared to conventional fixed orthodontics. A caring, hard-working mother of two, she yet finds time to attend courses and lectures that keep her skills up-to-date. Sapna qualified from King’s College London Dental Institute in 2009 with Honours. After completing her three-year specialist training at King’s College Dental Hospital and St George’s Hospital, she now restricts her practice solely to Orthodontics. She obtained her Membership in Orthodontics from The Royal College of Surgeons of Edinburgh in 2014 as well as a Masters in Orthodontics for which she was awarded a Distinction and the Philip Walther Prize for the highest mark. Sapna has since undertaken training to be an Orthodontic Consultant with two further years of training at Guy’s Hospital and Queen Victoria Hospital, treating patients with complex orthodontic problems. She has recently passed her Fellowship examinations. Sapna has lectured and presented her research nationally and internationally. She takes a keen interest in teaching trainees and is carrying out a Postgraduate Certificate in Clinical Education. Sapna takes pride in providing an extremely high standard of orthodontic care based on the latest clinical evidence. She is trained in a variety of appliances in systems including Invisalign and aims to tailor patient treatment to their individual needs and expectations. When not straightening teeth, you will find Sapna hiking, practising pilates or travelling. Nonsi qualified at Eastman Dental Hospital in 2009. 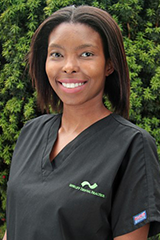 She is passionate about providing clinical care and work for her patients whilst also educating them on the best ways to care for their teeth and gums. She also takes great satisfaction in seeing patients improve their general oral health, including increasing their confidence to smile following the advice given to them. 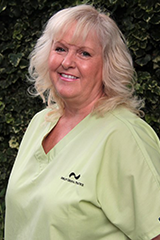 Rose is our friendly and experienced dental nurse and will be one of the first to greet you when you arrive, where you will begin to feel the warmth for which our surgery is renowned. Rose has been with us since 1998 and undertakes Continuous Personal Development to update her knowledge every year. She understands the full operational practices of this surgery and will be more than happy to assist with any questions you may have. Alongside Erica and Jess, she will make you feel comfortable and at ease. Erica, alongside Rose and Jess is one of our friendly and experienced dental nurses. With her caring and supportive nature, along with her good sense of humour, she will ensure you feel at ease at all times. Erica has been with us since 2000 and undertakes annual Continuous Personal Development to update her knowledge. 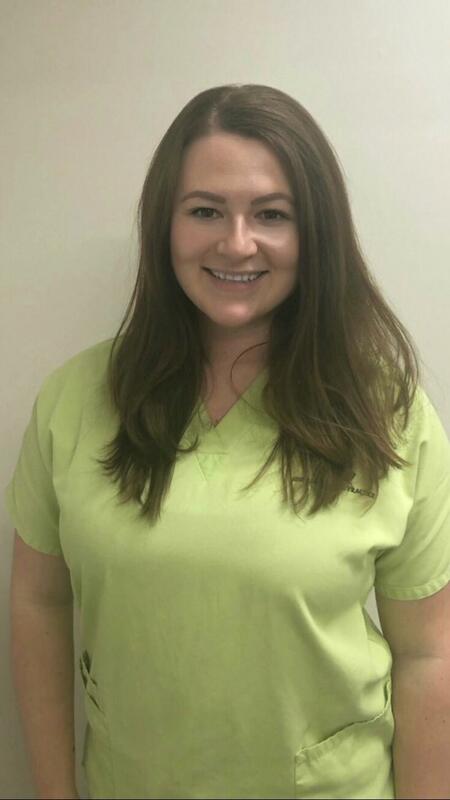 Jess is our fantastic, full-time dental nurse, who alongside Rose and Erica, will put you at ease as soon as you enter the practice. She is well-organised and experienced with all aspects of dental nursing and undertakes continuous professional development to update her knowledge every year.